Another Beautiful Day in Paradise. It was lovely weather with a breeze out of the South. It's almost tank-top time. We did our regular Clearwater Beach route except we went a couple of blocks out of our way to show everyone where the Mandalay Beach Club was. 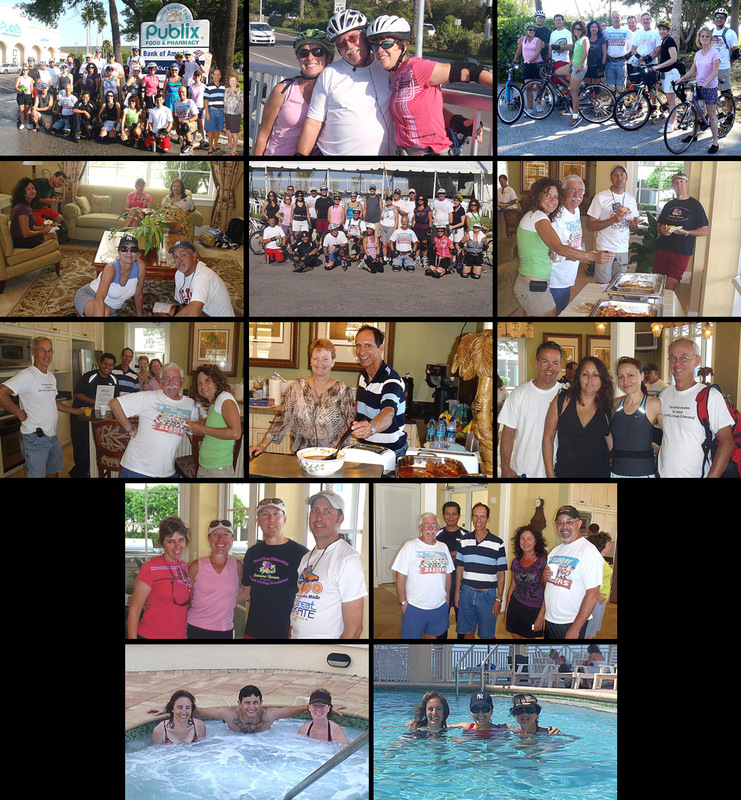 Absentees Marina, Phil V, Vivian, David S, Henry, Inessa, Deb B, Tom & Kim D, Janice, Dorey Anne and Chris came. New bicyclists Tim G. came. Welcome all. For some reason the people that did the Clearwater Bridge took a long time and we got split into two groups for a short period. Claudia and I took several pictures along the way. Got distances from Dee and Dorey Anne. We'll call it 12.3 miles. We had 11 bicyclists and for a while Henry's kids joined us on bicycles to make 13 bicyclists. We Brunched at the Mandalay Beach Club sponsored by Mike and Sandy as planned. Some of us had a little difficulty getting in but it all worked out fine. We basically had the Club House to ourselves. Sandy and Mike had prepared a wonderful Brunch and the only problem was eating too much. We all had a grand time and now know how the other half lives. Pretty nice to say the least. After Brunch many of us enjoyed the beautiful swimming pool and hot tub. Thanks go out to Mike and Sandy for a great Brunch and a pleasant time relaxing in grand style.